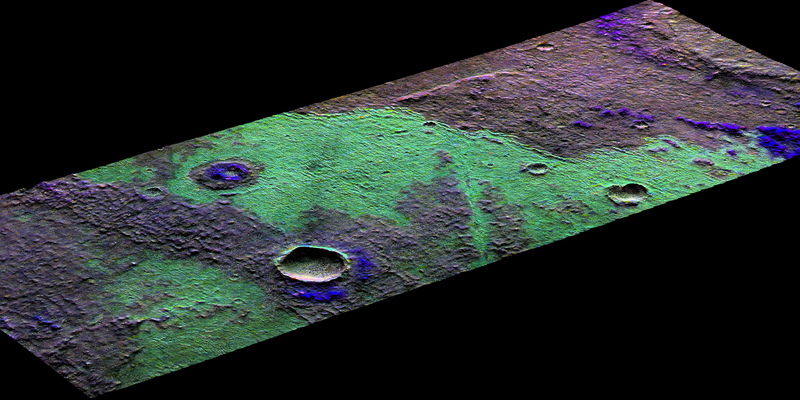 CRISM colors can be added to high-resolution images to enhance our knowledge of these materials. They also match nicely with the surface features in our HiRISE image. 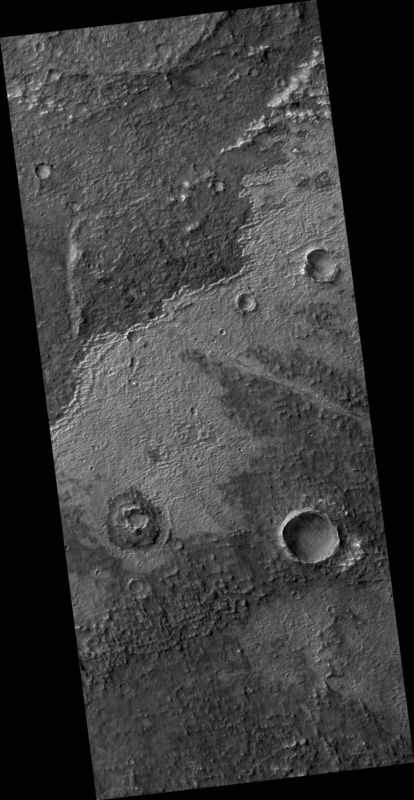 For example, a fissure near the center of the image may be a a clue to the origin of the salts. The fissure may be a fracture where warm salt-laden water may have welled up, erupted and ponded on the surface. These waters then evaporated leaving the salt-rich deposits behind. The map is projected here at a scale of 25 centimeters (9.8 inches) per pixel. [The original image scale is 25.4 centimeters (10 inches) per pixel (with 1 x 1 binning); objects on the order of 76 centimeters (30.0 inches) across are resolved.] North is up. This is a stereo pair with PSP_006668_1470.